In just a few days, the Tournament of Roses will celebrate its 126th Rose Parade presented by Honda. The theme, “Inspiring Stories” provokes reflection and emotion on the people, places and experiences that mold, represent and showcase society. The theme “pays tribute to those who have loved unconditionally, persevered courageously, endured patiently and accomplished much on behalf of others.” It is with great jubilee that, for the first time, the Armenian community will have a float in the Parade. The float celebrates the story of Armenian Immigrants who have, and continue to contribute to our society. 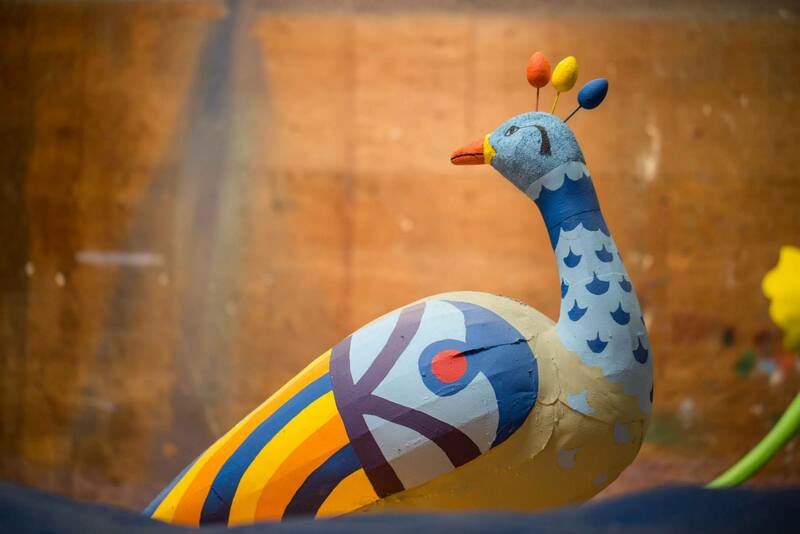 The spectacular elements of the float symbolize Armenian ingenuity, craft, culture, tradition and beauty; it truly tells the story of the Armenian “Cradle of Civilization,” the name of the float. 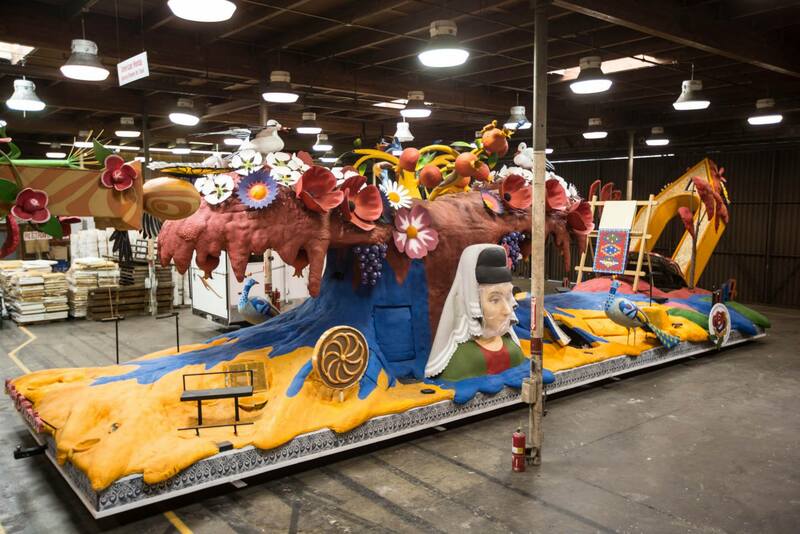 The impressive float is huge, measuring 55 feet long, 28 feet high and 18 feet wide. 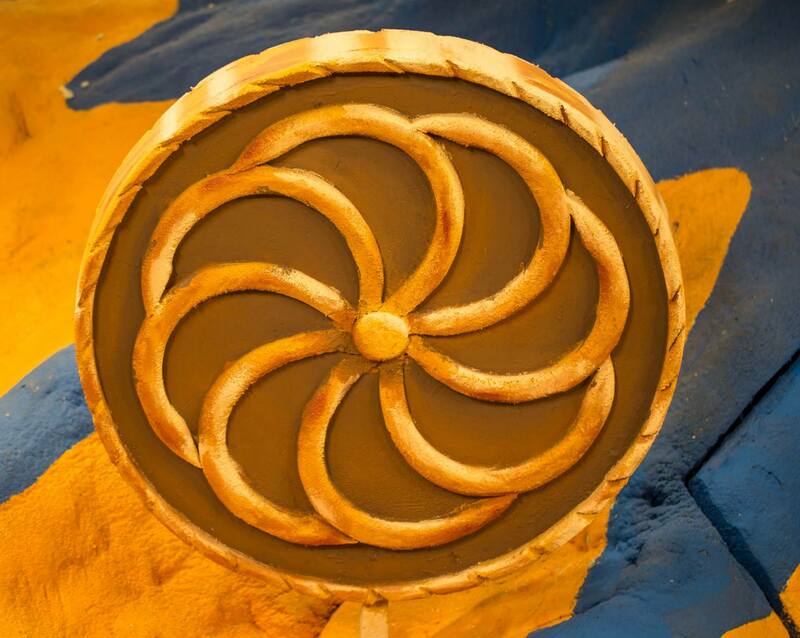 Design elements of the float are absolutely stunning! Rich in color the, the center of the float features the ancient Tree of Life which has gorgeous grapes, pomegranates and apricots (Armenia’s national fruit). This is an illustration of the famous artist Seeroon Yeretzian. The pomegranates symbolize life and fertility while the grapes symbolize the oldest wine factory in the world which was in Armenia over 7,000 years ago. Surrounding the Tree of Life are peacocks who, according to pagan historically were the protectors of the Tree of Life. 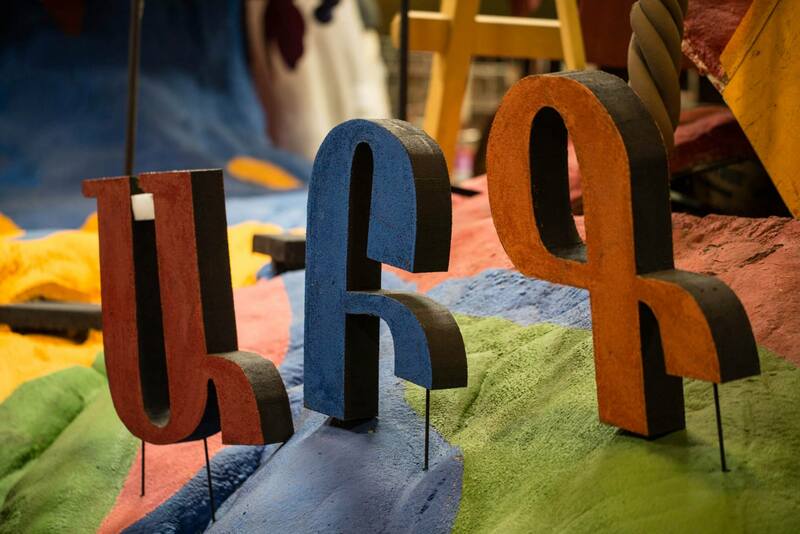 Linguistically, dating over 5,000 years old, the Armenian language has an independent branch within the Indo-European languages; the float features the unique, beautiful and ancient Armenian alphabet in the colors of the Armenian flag: red, blue and orange. These colors are represented throughout the float. 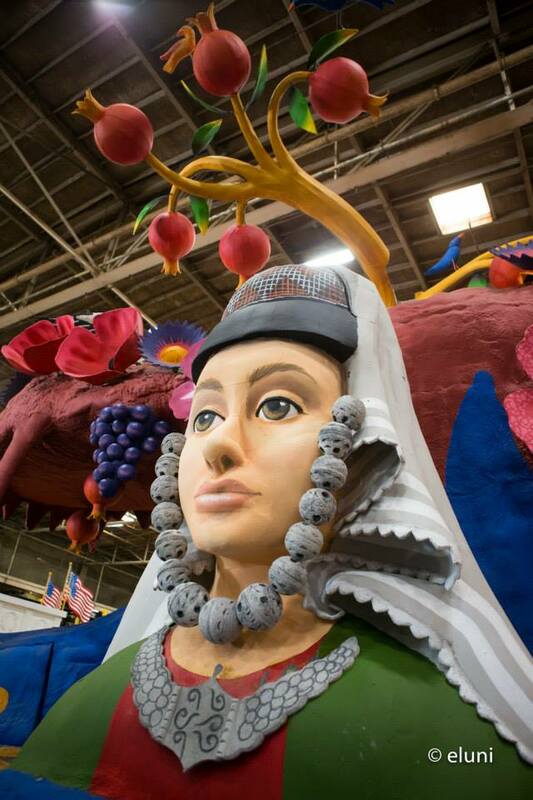 Displayed prominently on the float is a beautiful Armenian lady. To her left is the Armenian symbol of eternity, this symbol that is over 10,000 years old. Armenians are known as the first carpet weavers, below a beautiful image of Masis and Mount Ararat, is a traditional Armenian carpet. 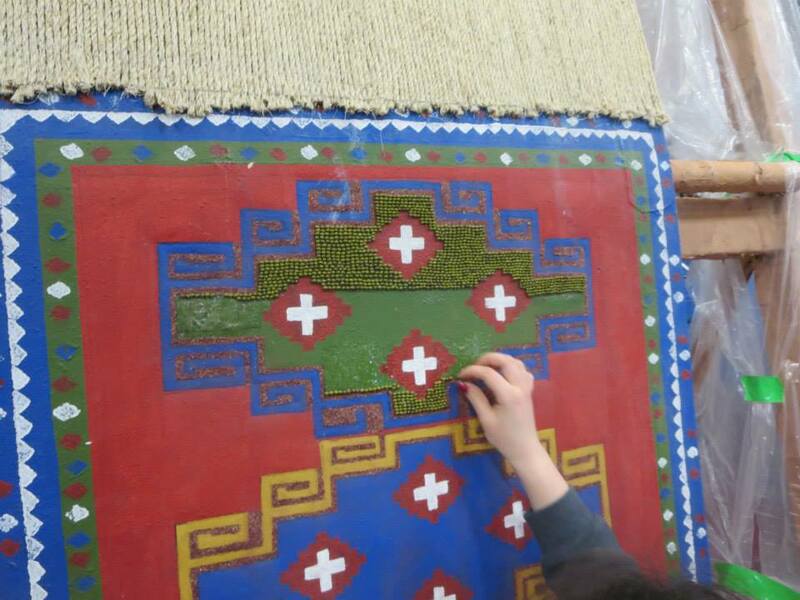 Experts advised on the carpet design to ensure authenticity. Judge Samuel Der-Yeghayan who is a United States federal judge for the Northern District of Illinois, he is celebrated for being the first Armenian immigrant federal judge in the United States. Actress Angela Sarafyan who can be recognized from her roles in The Twilight Saga: Breaking Dawn – Part 2 and The Immigrant. Attorney Mark J. Geragos, internationally celebrated trail lawyer who is a regular legal commentator on several TV networks. He is one of the only lawyers to be named “Lawyer of the Year” in both Criminal and Civil areas and has also been named “One of the 100 Most Influential Attorneys in California” for several years in a row. Jerry Tarkanian aka “Tark the Shark” a famous Basketball coach known for coaching at Long Beach State, Fresno State and most famously at University of Nevada Las Vegas where he lead them to a Championship during 1989-1990 season and the Final Four in the subsequent year. Flora Dunaians AIWA-LA Founder and Executive Board Member . She is also the recipient of the “Women of Achievement Award” at the AIWA London Conference in 1994 in recognition of her leadership and humanitarian efforts. Congressman Adam Schiff selected her as “Woman of the Year” in 2005 and in 2007 Assemblyman Anthony Portantino named her as one of the outstanding women in business. Jill Simonian, Television Host, Reporter and Founder of popular blog The Fab Mom. 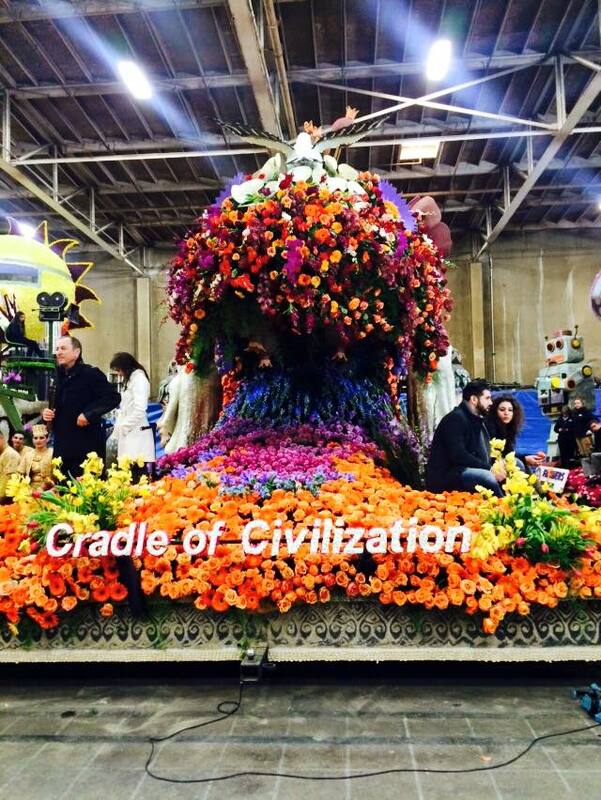 While this is the first year American Armenians will have a float included in the Parade, this is not the first time Armenians have participated in Tournament of Roses. In 1915, 100 years ago, the Grand Marshal of the Tournament of Roses was Movses Pashgian an active community member and Entrepreneur who owned a carpet weaving business in Pasadena. In 1952, five Armenians played in the first nationally televised Rose Bowl. Representing Stanford: Chuck Essegian, Harry Hugasian, Gary Kerkorian, Norm Manoogian and Len Kapeielian, played against Illinois. In 2006, Rachel Geragos was a Princess in the Royal Court. The American Armenian community has always talked about having a float in the Parade, “and now it is happening! We are so excited to be a part of this fantastic Parade and are overwhelmed with joy that the Armenian community is coming together to help make this vision a reality” says American-Armenian Rose Float Association Director, Jacob Parseghian. This is a proud and historic moment for Armenians and we cannot wait to see how beautiful heritage and culture featured in the Parade! Volunteers are coming from all walks of life to contribute to the float, we encourage you to participate! More information including volunteer participation and donation contributions can be found at: http://www.aarfa.org/.